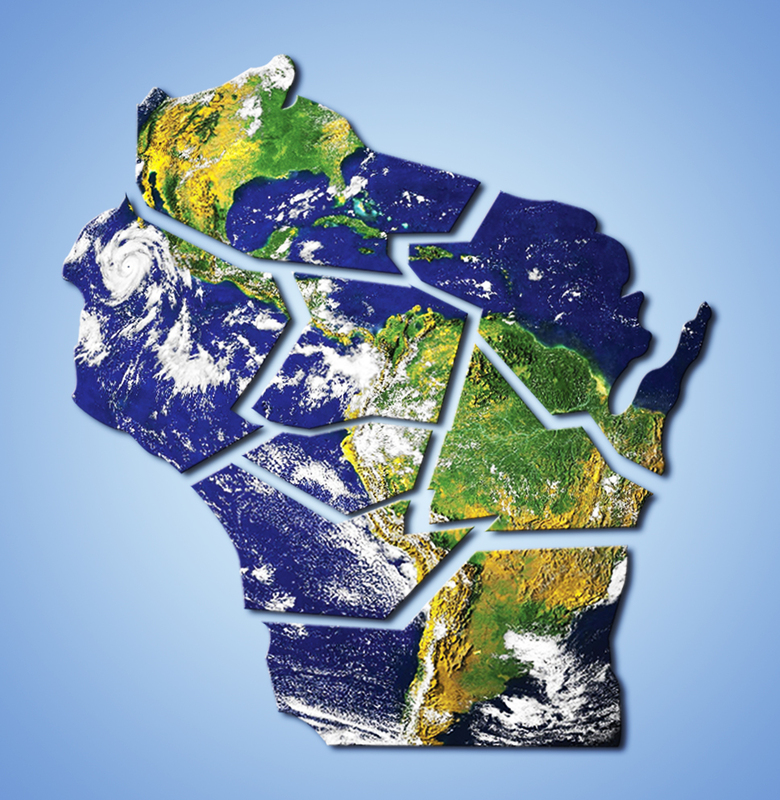 Across the state of Wisconsin, universities have been taking on campus-wide environmental sustainability initiatives. At the University of Wisconsin-Madison this fall, reusable coffee cups and to-go containers became available in all dining halls and are now the only option for carry-out food containers. Green Fund Program Manager Ian Aley said the Green Fund supports student-led projects that help reduce environmental impact and the operating costs of facilities on campus. “I help students translate their ideas into a reality by connecting with staff, researching solutions and calculating impacts,” Aley said. The Green Fund has been responsible for many environmental initiatives taken on campus following its start in the spring of 2017. One past project involved creating a more efficient greenhouse in Leopold Hall. Known as the Greenhouse Cooling Project, students of the Green Fund worked alongside residents of the dorm to figure out ways to reduce energy output and help the greenhouse run at a more environmentally-friendly level, according to UW-Madison’s office of sustainability. 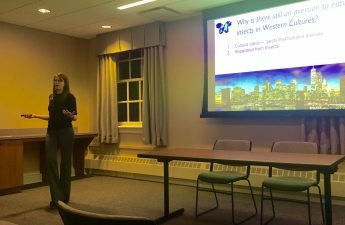 A current project in development is based on the success of the toilet retrofit done in Tripp Residence Hall in 2017, Aley said. Aley said a student group visited bathrooms in residence halls across campus to determine which ones used the most water. Students are now analyzing the data and writing a proposal to replace the problematic toilets with high-efficiency ones. Aley said that UW-Madison’s recreational sports department wants to partner with a group of students to determine if energy generated from stationary exercise equipment could be captured and used. Other projects in the work for UW-Madison’s Green Fund include measures related to energy efficient lighting and investigating new recycling systems, Aley said. One recycling system project focuses on better ways to recycle cardboard, and the other investigates the use of plastic gloves in labs. But UW-Madison is not the only school in the UW System to have a fund dedicated solely to environmental initiatives. And despite having the same goal, the green funds of other UW System schools are applied differently. UW-La Crosse bought a vermicomposter using its campus Green Fund, which utilizes thousands of worms to break down food scraps from UW-La Crosse’s dining hall and turn them into nutrient-rich fertilizer, according to the Milwaukee Journal Sentinel. According to the article, more than 3,439 pounds of food waste was turned into fertilizer by the vermicomposter. Similar to UW-Madison, UW-Stevens Point purchased “Green on the Go” containers and gave them to students living in residence halls. Meanwhile, some Wisconsin universities have taken a more academic approach. Lawrence University, for example, has sustainability peer-educators come to residence halls and participate in programming with students, as well as help them with energy-saving goals and proper sorting of waste, according to the Milwaukee Journal Sentinel. Leah Horowitz, an environmental professor at UW-Madison, said reducing one’s environmental footprint is important. 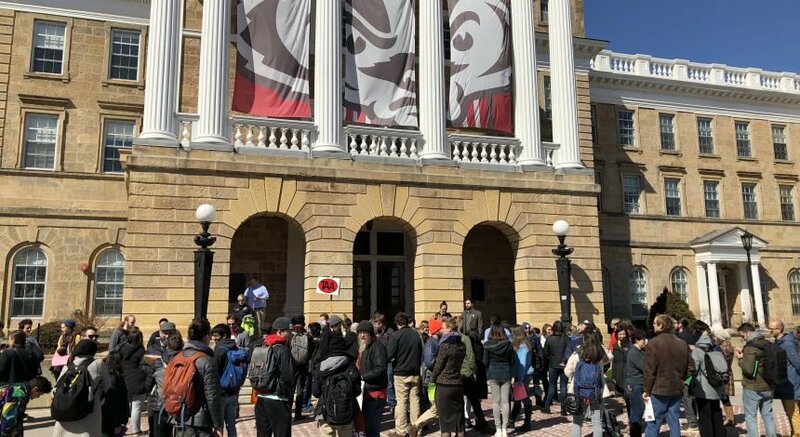 “I am proud that UW-Madison is rolling out initiatives to reduce waste, like the reusable containers and straws,” Horowitz said. But she believes that individuals need to be taking a political approach as well. 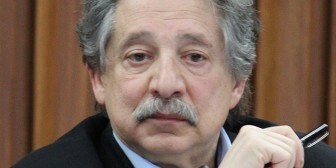 The most powerful thing someone can do is help drive change at a policy level, Horowitz said. This can be done by voting for candidates who take environmental issues seriously, she said.